This IPO demonstrates our ambition to take a quantum leap forward as a premier nano-measurement company, based on our technological competitiveness and a uniquely differentiated product line. Park Systems, world-leader in atomic force microscopy (AFM) officially announced 1 million shares for its initial public offering on December 17th at KOSDAQ, which is a Korean version of NASDAQ, established in 1996 to be a capital supplier of venture and small and medium-sized businesses. The underwriter of the company is KB Investment & Securities Co. Ltd.
Park Systems received "AA" from two separate rating agencies on advanced technologies, becoming the first company that will be listed on the KOSDAQ in 2015 through the special technologies IPO program. 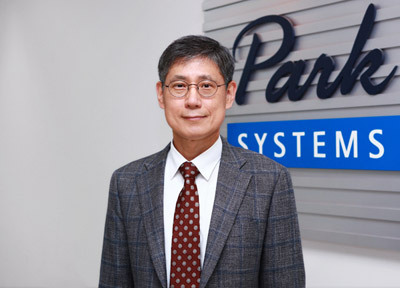 Dr. Sang-il Park CEO and founder of Park Systems worked as an integral part of the group at Stanford University that first developed AFM technology and created the first commercial AFM in 1988. "Park Systems is a knowledge-intensive business with a strong focus on R & D," comments Dr. Sang-il Park, "This IPO demonstrates our ambition to take a quantum leap forward as a premier nano-measurement company, based on our technological competitiveness and a uniquely differentiated product line." "We have a long history of providing accuracy and unmatched superiority in AFM technology, which has been the hallmark for our sustained growth," adds Dr. Park. Park Systems, founded in 1997, is a global market leader in the AFM industry. Park Systems holds 32 patents related to AFM technology, including True Non-Contact Mode™ using decoupled XY and Z scanners, PTR measurements of HDD application, NX-Bio technology using Scanning ion conductance microscopy (SICM) on live cell, 3D AFM, Full automation AFM operation software (SmartScan™). Park System's major customers include thousands of prestigious universities and international research agencies world-wide and they are the premier supplier of AFM to all of the leading semiconductor and HDD manufacturers including Seagate and IBM. Park's exclusive product line has evolved from a research tool to an industrial system for cutting edge technology companies where unmatched performance has resulted in user-customized product lines at leading manufacturers world-wide. Additional accelerated revenue growth is projected thru a partnership announced earlier this year with IMEC, a worldwide nano-electronics research center, for the next generation of nano-instrumentation for inline atomic force microscopy technology development. This partnership extends to a wide-ranging customer base from the global semiconductor consortium members and major institutions in the future. Investments in Korean companies are on the rise with strong growth prospects expected, demonstrated by the significant increase in market capitalization from KRW 32 trillion at the end of 2004 to 203 trillion at the end of the first half of 2015, and the average daily trading value which has grown from KRW 0.6 trillion to 3.5 trillion in the same periods. Korea Exchange (KRX) is the operator of Korea's Securities and Derivatives Markets under the 'Financial Investment Services and Capital Markets Act (FSCMA).' KRX operates four Markets; KOSPI Market as a main board, KOSDAQ Market as a venue to small and medium sized enterprises, KONEX Market for start-up venture companies and Derivatives Market which boasts of the most liquid products in the World. Within its consolidated trading platform, KRX offers vast product line-up including equity shares, bonds, ETFs, ETNs, ELWs, Commodities, futures and options.